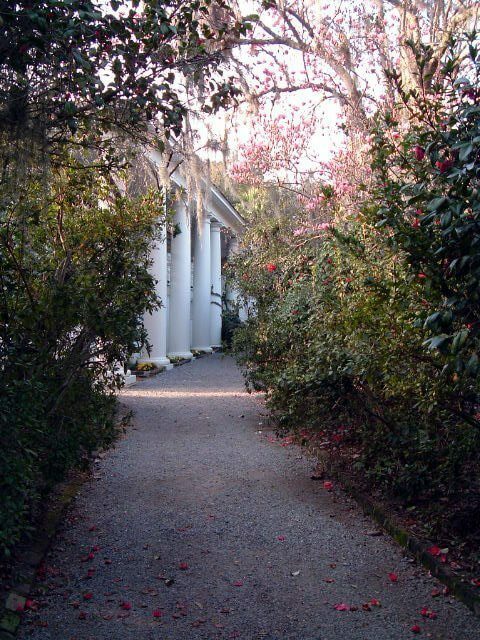 When scouting outdoor venues for an upcoming special event, the thought, “It would be the perfect venue if only it had restrooms,” is a thing of the past. 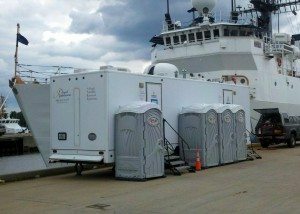 The availability of luxury portable restrooms is shaping the outdoor venue landscape and opening up opportunities to create events of a lifetime. 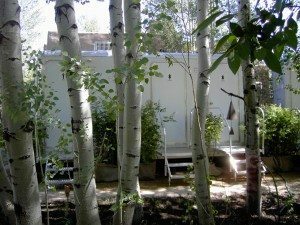 Take, for example, breathtaking Red Cliff Ranch in Heber Valley, Utah. 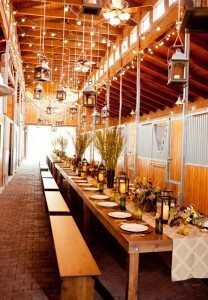 The barn area is a choice venue for weddings and corporate events but does not have a permanent restroom facility. 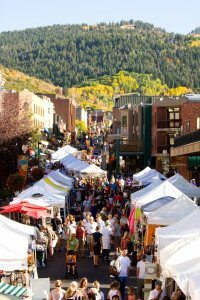 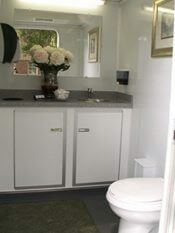 Royal Restrooms of Utah, local rental provider of Utah portable restrooms, is a trusted source for luxury portable bathroom rentals each weekend, June through October, at the unique venue. 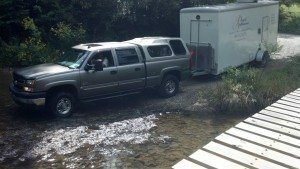 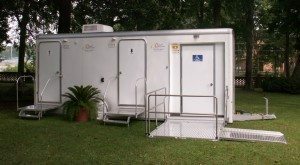 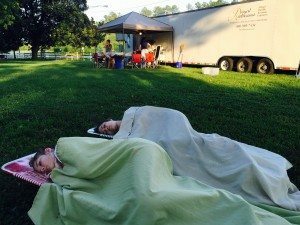 Portable restroom trailers provide a sensible option for outdoor event restrooms. 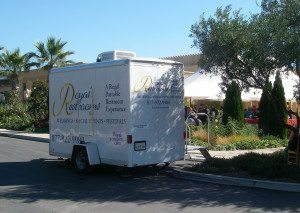 Royal Restrooms® aims for higher standards, delivering on sensible portable restroom solutions plus providing a regal portable restroom experience™ for event guests. 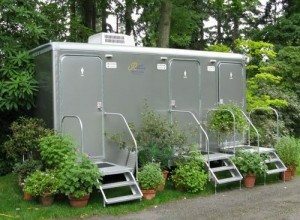 Royal Restroom trailer exteriors are tastefully designed and suitable for any event style. 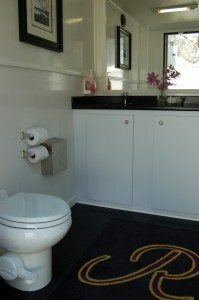 The restroom trailers house private, spacious bathrooms that function and look just like home bathrooms: lights, air-conditioning/heat, flushing porcelain toilets, sinks with running water, premium toiletries, mirrors and beautiful décor. 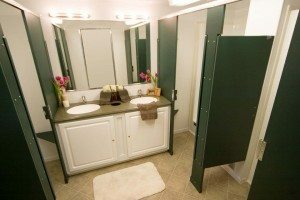 See more amenities of luxury portable restrooms. 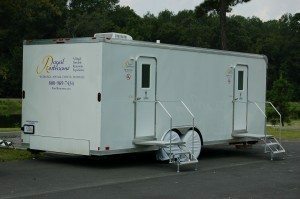 Portable restroom trailers can go virtually anywhere they are needed and fully operate with or without access to power and water sources on site. 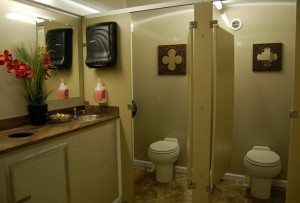 Any choice location can become the perfect venue with luxury portable restrooms, bringing the venue to life and, yes, making dreams come true. 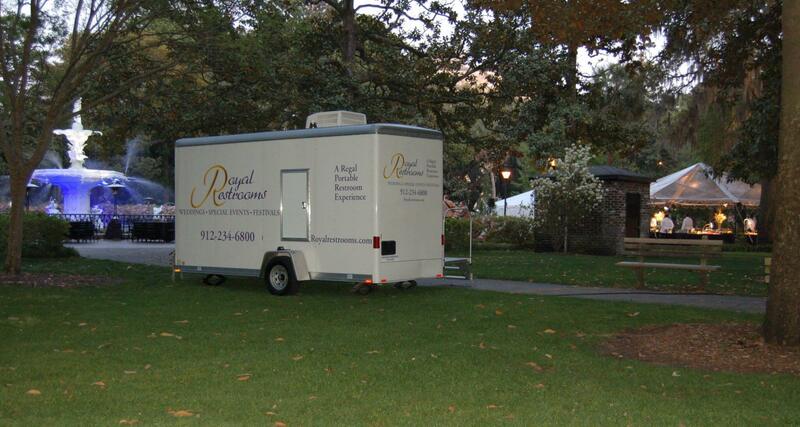 Royal Restrooms is a leading, nationwide provider of luxury portable restroom rentals and portable shower rentals. 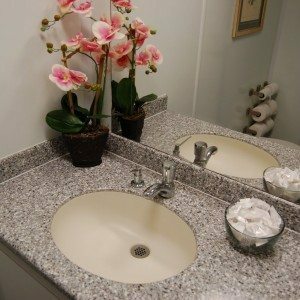 Each office is locally owned and operated. 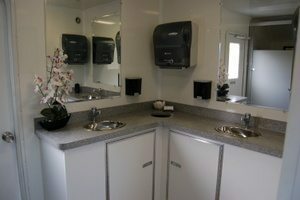 Visit RoyalRestrooms.com for more information or request a quote from your nearest portable restroom rental office.